Freddi selects only the best suppliers with which it establishes a solid relationship of trust. The decision to set up this supply chain keeps the quality level high and offers advantages also for the farmers, who receive bonus payments for hand-picking their produce. 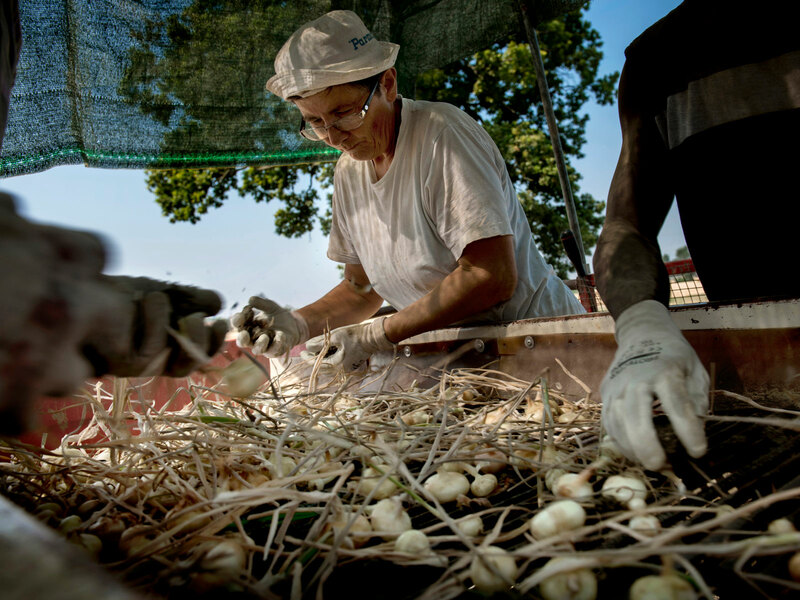 The onions, shallots and potatoes come mostly from the fields of Emilia-Romagna, and to a lesser extent from Piedmont, Veneto and Lombardy. Where a different type of soil is requested to reach a certain quality of product, Freddi looks towards Southern Italy, France and other foreign countries. Checks are carried out on-site in the fields through all phases of the supply chain, from seed preparation in December to harvesting in July. 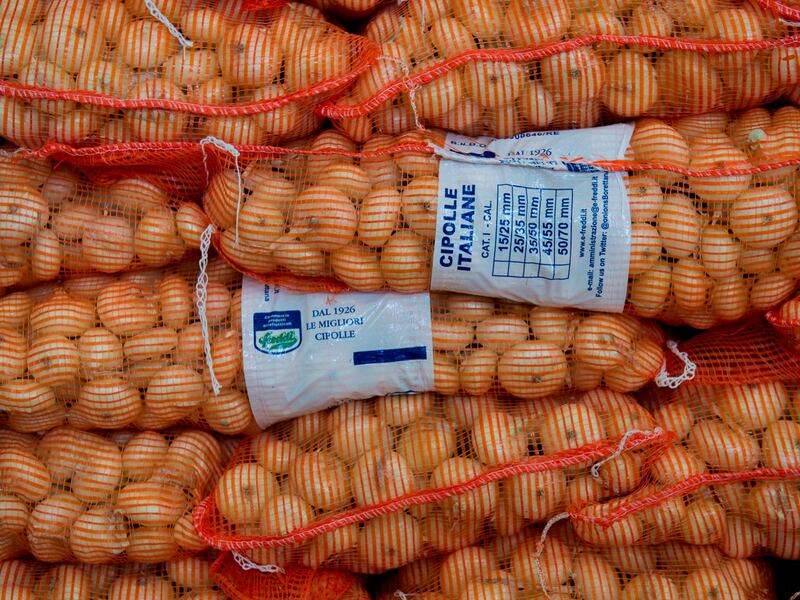 However, before getting the onions and potatoes ready to be distributed to the stores, cleaned and packaged, they undergo an important tasting test. 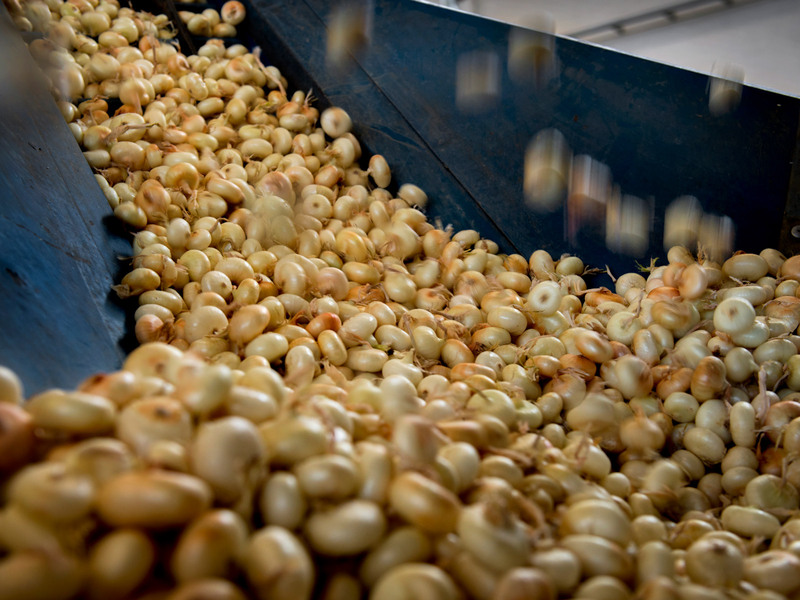 Growing onions requires very little water and to remain intact over time, they should preferably be hand-picked. Nature is on Freddi’s side, and the company’s supply chain is a symbol of sustainability. The processes involved are very simple, meaning that only few workers are needed. The farmers selected by Freddi use “integrated pest management” in line with strict specifications, and still use manual hoeing to remove weeds, thus minimising the need for pesticides. This attention to the safety of the produce continues also after harvesting, thanks to healthy storage cells and warehouses. A part of the harvest, which tastes superb but is rejected by large-scale retail stores due to blemishes, is given to canteens for the poor, while actual wastage is used to produce biogas.